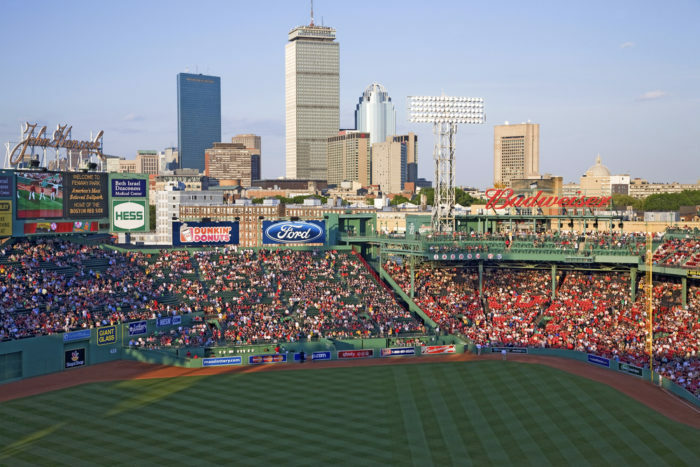 Boston’s Fenway Park seats an average of 37,000 people. Sell Fenway Park out twice and that’s roughly the number of employees at Cisco Systems. Imagine, looking around two packed ball parks and knowing the skills, strengths and passions of every individual in those seats. Try to understand the immense benefit – the outcomes – of that transparency. There is someone in that crowd who can handle any project or any job, if you utilize their talents in an agile way. At Cisco, we are trying to do just that – harness the power of every member of the talent ecosystem to realize greater revenue, productivity and engagement. To achieve this at scale, we had to disrupt – and reimagine – our approach to talent management. Doing so meant that we had to face some realities of being a 30-year-old technology company: our employee demographics evolved, but our processes haven’t. And our employees made it clear that they wanted the ability to take the on-demand experience they have in their personal lives and bring it into their work environment. Employees want a choice in when and how they work, how they are rewarded and where they work. This created a vision for us of what the future of work could be at Cisco. We had to give our employees the same flexibility and decision-making that they have in their personal lives within Cisco. Cisco’s talent transformation was driven by two objectives: give employees the tools and insights to create their own work experiences, and create transparency into our employee’s skills and experience so our leaders can do agile talent planning and our employees can take the initiative they need with their careers. The question was how to accomplish this in an organization of Cisco’s size? The solution came in the form of the Talent Cloud, an agile talent ecosystem that enables employees and leaders to match skills and strengths to work by leveraging data and reputation. For us, the Talent Cloud delivers on two key promises in our People Strategy – “one size fits one” and “one company, many careers.” Both allow our employees to have an experience at Cisco that is differentiated and personalized. The core of the Talent Cloud is generated by the insights and reputation of our employees. It is our internal CRM, where employees import a personal profile, highlight strengths and assess their skills against roles. Managers can also assess their employee’s skills and identify development opportunities for the employee to explore. When a role or project becomes available, leaders and managers can search the network to see if someone within Cisco’s employee population is a match. The system will automatically notify those matches. We’re also exploring creating a reputational index, whereby a peer or team member can ‘rate’ and provide feedback on their experience with an employee on projects. This creates a social talent network at Cisco and generates a broader snapshot of an employee’s potential. In a landscape that is constantly changing, employees love this idea because it means that they’re getting real-time feedback on their impact. It also allows many perspectives on an employee’s performance and impact. Cisco’s ability to index its current skills against future needs also allows us to invest in the next gen technologies and learning strategies needed to transform our workforce and accelerate our digital and cloud transformation. The Talent Cloud helps employees create individualized roadmaps for their Cisco career. We don’t all aim to be CEOs or people managers; we have individual motivators, personal growth goals and long-term visions for our careers. And there are some who want to figure it out via a variety of talent experiences. In the Talent Cloud, employees are able to bring their whole selves to work which gives leaders the chance to match someone to a learning opportunity or find a project that helps meet a personal goal. We’re working to digitize these recommendations so that employees can have a ‘one stop shop’ for finding a mentor, training course, talent community, or stretch assignment that will further their career at Cisco. It creates a personalized experience that meets people where they are in their career journey. The future of talent management creates choice and freedom using an on-demand model. This will create better retention, by providing a talent marketplace with the insights, visibility and transparency that employees and leaders need. The companies, like Cisco, that are able to create one-size-fits-one experiences will benefit in every way; from increased employee satisfaction to greater productivity, stronger work output, intelligent people planning and improved transparency between employees and the business. Jill Larsen is SVP of Strategic Talent Acquisition, People Planning and Services HR at Cisco. Over the last three years, she has transformed Cisco’s talent acquisition team and aligned them to Cisco’s cloud and software transformation by implementing innovative recruiting and sourcing initiatives, executing a robust talent brand and social media strategy and driving next generation talent pipelines. Her charter has recently been expanded to include People Planning, a new HR Practice that will accelerate Cisco’s people transformation by providing talent insights, Organizational Design capabilities, and building a talent cloud ecosystem that will enable leaders and employees to identify the skills needed for the future. Jill is also the Global HR Leader for Cisco’s Services organization, which includes 14,000 employees and $12B in revenues.